and entertainment that help users to interact with individuals and groups spread over the internet. 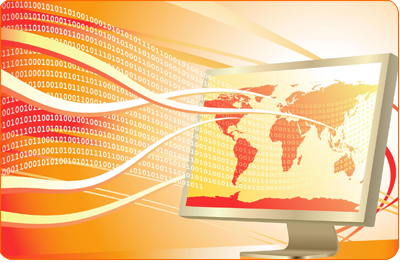 Databazaar offers full cycle portal development services. Our process starts with an in-depth analysis of user requirements and what they’re trying to accomplish. Translating these user needs into requirements for collaboration, business process, personalization, search, content management, and data display lays the foundation for a portal that will be well-liked and hence embraced by the intended users. This intense focus on user needs aims at creating distinct solutions based on your precise strategic and financial requirements and leads to long term, on-going business relationships. Databazaar builds interactive, innovative & efficient portals for its clients belonging to various industry verticals. Databazaar has successfully executed top of the line portals that incorporate the latest technology and most interactive options to attract users to the website. We have an experienced team who understand the technicalities involved in the process of Web Portal Development and can create customized products to fit your specific requirements. We focus on integrating latest technologies with an attractive and easy-to-use interface and that is what sets Databazaar apart. Our team develops a customized Content Management System (CMS) as per your requirement which have various interactive tools such as message board, discussion forums, rating tools, voting polls, blog community, real time chat, videos and Image gallery etc. Our business insight, years of experience, and unparalleled cutting edge knowledge of web technology will lead your business to new horizons of expansion. Development & Maintenance of a Bulk SMS Gateway Portal for one of the major Premium Rate Service Providers in the African region.